The 2014 Cadillac CTS has a substantially higher sticker price than before. Base versions now range in the mid-$40,000s, with the twin-turbo Vsport priced from $60,000. The Cadillac CTS has finally risen to the world-class ranks. Back in 2001, the CTS was GM's first attempt at turning around the Cadillac nameplate, and with the new CTS, it's completed that ascendance. 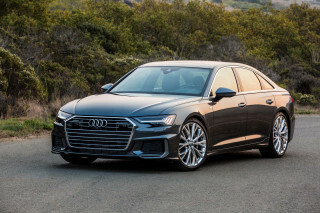 It's now truly competitive with--if not a better all-around effort than--vehicles like the BMW 5-Series, Jaguar XF, Audi A6, and Mercedes-Benz E-Class. In all those brands' mid-size offerings, the CTS stands out, better than the last version, better than the Cadillac ATS. The third-generation CTS finally tackles the thorny E-Class/5-Series/A6 superset head-on, while it marches Cadillac a few more brisk steps away from its straight-edged Art &amp; Science theming. That retreat is unmistakable--because from some angles, the 2014 CTS has an uncanny resemblance to the Mercedes-Benz E-Class. It's all in the rear roofline, the angle of the pillar that bends down toward the trunklid, and the shapes of the side glass. The blunt edges have been smoothed down; the LED trim on its vertical headlamps does the neat visual trick of pulling the nose to the ground, while it picks it up and into the fenders. Inside, the dash cap is wrapped in a single piece that drapes into the center stack, and wood trim mingles with cut-and-sew upholstery, at least on uplevel models. The touchscreen CUE interfaces dominates the cockpit, with big, bright displays in the center stack and in the gauges--in some cases, replacing the gauges entirely. Three engines frame the $46,025 2014 CTS's argument in the mid-size luxury debate. The base powerplant is the same 2.0-liter turbocharged four-cylinder, rated at 272 horsepower, coupled to a six-speed automatic with rear- or all-wheel drive. It's a well-sorted base car, with light-touch electric power steering, but even with active noise cancellation, it's more gruff than the turbo four from BMW. Cadillac's ever-present 3.6-liter V-6 checks into the mid-line CTS with 321 horsepower and 275 pound-feet of torque, and a choice of rear- or all-wheel drive. All-wheel-drive cars get same six-speed automatic with paddles, but a new eight-speed, paddle-shifted automatic comes with rear-drive versions. It's a more fitting drivetrain for a mid-size Cadillac, quick enough to throw off 6-seconds runs to 60 mph. The top 2014 CTS sedan is the $60,000 Vsport, fitted with GM's new twin-turbo 3.6-liter V-6, and good for 420 horsepower and 430 pound-feet of torque. It's rear-drive only, paddle-shifted eight-speed automatic only, and gets its own 18-inch Pirelli tires, a track mode, an electronic limited-slip differential, and Brembo brakes. On all versions, Cadillac's attention to weight has kept the CTS relatively light: the base car's curb weight of 3,616 pounds is about 250 pounds less than the last-generation CTS, and body structure is far stiffer. A slimmer CTS means superior handling, no matter which version: the steering doesn't load up with steroidal levels of artificial weight, and the CTS rides firmly, with little lean. We've driven a handful of CTS sedans, and our favorite is the Vsport, and not just because it compiles especially beautifully on a track. With Cadillac's magnetic dampers (an option across the board) and a quicker steering ratio, it grips the ground fanatically, needling its way through carousels and esses--but relaxes into a comfort mode for everyday driving that's composed and confident, not at all punishing. The 2014 CTS has grown up and out into true mid-size dimensions, making back-to-back comparisons with E-Classes and 5-Series and XF easier. It's 195.5 inches long overall--4.1 inches longer than before--and the wheelbase is 114.6 inches, an increase of 1.1 inches. The roofline's lower by an inch, to 57.2 inches, and that has as great an effect on its five-passenger utility as the boost in rear-seat space. The CTS's front seats have great support, and more than a dozen adjustments--the standard-issue seats have 14-way power adjustments; leather-trimmed, 16-way adjustable seats and 20-way adjustable seats are options, with manual tweaks for the bottom cushion length and the headrests. In back, there's somewhat less room and support than in rival sedans: the seat bottom is mounted low and it's short, though entry and exit have improved a lot from the former CTS. Trunk space is fairly small, too. As for quality, GM's active noise cancellation has a helpful effect on muting the sounds of the turbo four-cylinder and the twin-turbo six, where extra sounds from in front of the firewall are pumped into the cabin through the CTS' Bose audio system. The CTS still is on the glamorous side of interior finishes; the cabin's awash in the soft glow of screens, a futuristic look that sets it apart nicely. Like the 2013 ATS, the 2014 CTS will get a full dose of tech-intensive safety features, above and beyond the usual stability control. Ten airbags, parking sensors, rearview cameras--they're a little passe, aren't they? The CTS offers a combination of radar and cameras that enable forward-collision alerts, adaptive cruise control, cross-traffic alerts, and lane-departure warnings. The CTS also gets the clever haptic setup from the ATS and XTS, wherein the lane-keeping functions don't vibrate the wheel as they do on some luxury cars--they vibrate the seat, either on the left or the right side of the bottom cushion, depending on which side you transgress. GM's OnStar system is free for a year with the 2014 CTS, and comes bundled with smartphone-app access, down to remote start. The 2014 Cadillac CTS will come in three different trim levels, named just as those on the ATS are named: Luxury, Performance, and Premium. 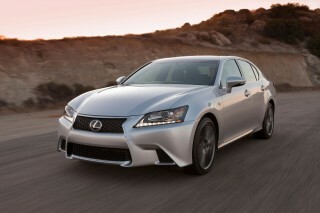 All versions will come with power features, cruise control, climate control, and Bluetooth with audio streaming. Cadillac's CUE system will be available. It's a defining piece of technology for the brand, and one that's far from foolproof--a sentiment we have regarding other infotainment systems. In particular, CUE's haptic feedback isn't always predictable, and its natural-language recognition fails us often enough to resort to smartphone-based Google Maps. But it's a dramatic-looking setup with some fascinating features worth learning: there's a big 8.0-inch screen that displays navigation, audio, climate, and phone functions, linked to a second screen between the gauges, controlled by voice or by steering-wheel controls. Navigation integrates with CUE, but it's an option on base versions of the CTS. Other nifty touches include parking assist, which steers the car into parallel spots while the driver keeps a foot on the pedals; ambient LED lighting; Bose audio; and a cupholder with a power-operated cover. Forget what the GPS says--that's the signal that the 2014 CTS sedan has finally arrived. A graceful evolution of sharp Cadillac style, the 2015 CTS has classically handsome looks and a beautiful interior. Cadillac's styling streak keeps momentum with the 2014 CTS. The third-generation mid-size Caddy finally tackles the thorny E-Class/5-Series/A6 superset head-on, while it marches a few more brisk steps away from the straight-edged Art &amp; Science theming that broke the brand out of its fin-de-siecle doldrums. The retreat from the angle is unmistakable. From some perspectives, the 2014 CTS has an uncanny resemblance to the Mercedes-Benz E-Class. It's all in the rear roofline, the way the pillar bends down toward the trunklid, the shapes of the side glass. Everywhere else, the CTS is Cadillac, evolving as it is. The blunt edges have been smoothed down. The CTS' grille has fewer ribs and a higher badge, and the vertical headlamps get LED trim that does the neat trick of pulling the nose to the ground, while it picks it up and into the fenders. It's as much a signature look at night as Audi's LED-framed headlamps, or Dodge's rings-of-fire rear ends. The lessons learned from the Cadillac ATS get applied inside the 2014 CTS. The dash cap is wrapped in a single piece that drapes into the center stack, and wood trim mingles with cut-and-sew upholstery, at least on uplevel models. The two-tone themes that liven up the ATS can be had on the CTS too, and present some of the same exciting options and pitfalls--we haven't seen all the combinations, but the ATS cockpit can get overwhelmed with a poor hand on the options tiller, and we assume the same holds true for the CTS, though all the combinations we've seen have been tasteful. Big screens are the dominant feature of the CTS' cabin: the 8-inch touchscreen twins with a 5.7-inch monitor between the gauges or, sometimes, a 12.3-inch panel that replaces the gauges. All lit up, the cockpit is a strikingly futuristic place, a universe away from the cool-touch Germans, more interestingly executed than the glam Jag XF. Strong, balanced performance is what the 2014 CTS delivers across the board; and the twin-turbo engine and new Vsport models drive it to new heights. The Cadillac CTS has chased the performance icons of the German auto industry for a couple of generations, getting lapped the first time around and pulling within sight in the most recent edition. With its third pass at the leaders, the CTS has a legitimate claim on best-in-class handling when it's a Vsport. We've driven a sampler of pre-production 2014 CTS sedans, all the new powertrains and a few of the suspension combinations that show the CTS's all-around, newfound finesse. 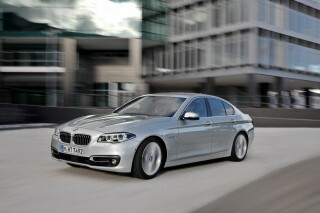 It flatters the 5-Series and E-Class with road manners inspired by them, without imitating them. It finishes the work started by the Cadillac ATS--the job of convincing haters and doubters that a Cadillac CTS deserves mention in the same breath. Cadillac fits the 2014 CTS with three engines, two transmissions, and rear- or all-wheel drive. Base cars have a 272-hp 2.0-liter turbo-4 with 295 lb-ft of torque, up 30 lb-ft on last year's numbers as installed in the compact ATS. It's the grouchiest of the CTS' engines, even when it's fitted with active noise cancellation, but it has ample power low in the rev range, and that power sticks around through at least 5,500 rpm. This version has a 6-speed, paddle-shifted automatic and can be equipped with all-wheel drive. Gas mileage falls below rivals with that combination, and GM's turbo-4 just isn't as refined as the one you'll find in many BMWs. The CTS' base powertrain is a hard pass. Head instead to the mid-line 3.6-liter V-6. It emits a deep and sonorous growl, but more importantly, 321 hp and 275 pound-feet of torque, and rear- or all-wheel drive. The same six-speed automatic comes with the rear-drive model; a new 8-speed, paddle-shifted automatic teams up with all-wheel drive to hit 60 mph in 6.0 seconds. While we wait for the next CTS-V, the CTS Vsport holds a place for it. The VSport's 3.6-liter twin-turbo V-6 drops 420 hp and 430 lb-ft of torque, via the rear wheels and an 8-speed paddle-shifted automatic. GM pegs its 0-60 mph run at 4.6 seconds, and says it will reach a top speed of 170 mph. 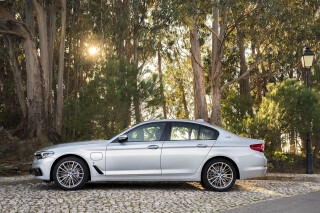 The VSport may look shy on power compared to some 5-Series cars with V-8 engines, but its lighter curb weight makes it a vibrant performer, particularly with this drivetrain. In the past Cadillac has fallen behind rivals in the handling department. That changed with last year's ATS compact sedan. Incredibly composed and stable, the ATS lends some of its steering and structure to the CTS, and it pays off even in the versions with the lowest aspirations--with a standard-tune FE2 strut-and-five-link suspension, electric power steering, and 17-inch tires. With near-perfect weight balance front to rear, even the CTS with the smallest tires can carve corners without a lot of artificial weight induced into the steering system. Most of our time was spent on the road with the six-cylinder cars, both with GM's Magnetic Ride Control (MRC) suspension. MRC has magnetically charged dampers that can change their stiffness in milliseconds, is also in its third generation, and it's shared with the new Corvette Stingray . The CTS' magnetic dampers deliver an agreeable ride one moment, and sportscar-firm damping the next. More supple than the shorter ATS thanks to more wheelbase, the CTS is never floaty or uncontrolled. 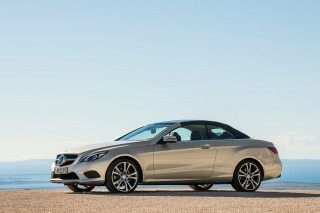 It also has well-tuned power steering and a strong sense of stability, just like its compact companion. On GM's home court--its proving grounds--the CTS VSport neatly outlines how Cadillac has absorbed the schooling doled out over decades by cars like the S6 and even Lexus' GS F Sport. This new half-step to V-Series status lines up perfectly against Audi and Lexus in ambition. The Vsport adopts a flurry of handling upgrades: 18-inch Pirelli tires (with 19-inchers offered as an upgrade); a quicker steering ratio; a track mode for the magnetic dampers, steering, throttle, and shift points; an electronic limited-slip differential; and Brembo brakes. It all compiles beautifully, with more nuance that all its digital inputs suggest. On 18-inch summer tires, the CTS we lapped around Milford gripped the ground fanatically, needling its way through carousels and esses famously, piped-in soundtrack ripping through the cabin downshift after downshift. MRC seemed unnecessary in the ATS, where it's a second-gen setup. This firmware version is a must. With the magnetic dampers, the CTS grips with precision, and never lets up too much slack. Mind you, this is the VSport. There's a CTS-V still waiting for its debut. More on that in the months to come. Better trimmed, roomier, and more comfortable than ever, the Cadillac CTS is at last a true mid-sizer. The 2014 Cadillac CTS sedan is much longer than the four-door it replaces, and for good reason. The previous-gen CTS was a "tweener," a car balanced between compact and mid-size interior space. No more: the new CTS is a head-on competitor for the likes of the 5-Series, E-Class, A6, and XF. According to the spec sheet, the 2014 CTS has grown 4.1 inches, to 195.5 inches overall, from nose to taillights. A 114.6-inch wheelbase has absorbed 1.1 inches of that growth. The roofline now sits at 57.2 inches, more than an inch lower than the prior car. Cadillac's rearranged interior space, but the net effect isn't transformation. The CTS has decent head and knee room, so long as the optional sunroof is left on the option list. The 20-way seats are fantastic, formed with real care, especially for those who need upper-back support. In back, the CTS doesn't displace the E-Class as the size queen. The low-mounted cushion aggravates an already low entry point. The doors are bigger, but older passengers in particular will have trouble getting in the back seat. There's less knee room than in an E-Class or a 5-Series. 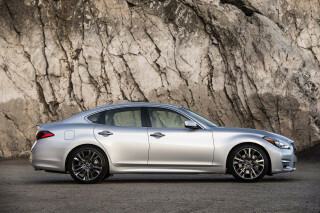 It feels more like a Jaguar XF, a conscious splitting of priorities between sleek looks and ample space. The CTS' trunk wouldn't be called big unless it were on a coupe. At 13.7 cubic feet, it's barely adequate for a luxury car, but nowhere near the cubes offered up by a Passat or a Taurus. The CTS sedans we've driven have impressed us, in terms of interior quality and fit and finish. Cadillac still offers a bit more glamor than Audi or BMW or Benz, and the contrast between glossy wood and brightly lit LED screens comes across more sharply than the subdued environment of an A6. We do like it better. GM uses active sound cancellation to quiet the CTS' interior. The 4-cylinder benefits the most. It doesn't sound as happy or balanced as a BMW turbo-4, but the gruff overtones go mute. Twin-turbo V-6s get pumped-in noise to flood the cabin with good vibrations. Rearward visibility is an issue, but the CTS' crash-test scores are exemplary. The 2014 Cadillac CTS sedan is so new that its crash-test ratings are a rapidly evolving story; but all else points to an extremely safe sport sedan. The National Highway Traffic Safety Administration (NHTSA) hasn't had a chance to crash-test the new sedan yet, but the carryover models are rated at five stars overall, including five stars in both frontal and side impact tests. The Insurance Institute for Highway Safety (IIHS) gives the new sedan "good" scores for front- and side-impact tests, but hasn't awarded an overall rating yet. All CTS sedans come with 10 airbags, which includes knee airbags for the driver and front passenger. A rearview camera comes as standard equipment, and so do rear parking sensors. GM fits every CTS sedan with OnStar, its telematics service, and throws in a free year of service. OnStar can be controlled by smartphone apps. The options list for the CTS includes automatic parking assist; it uses cameras and sensors and electric power steering to guide the sedan into a parking space, while the driver controls the throttle and brake. A package adds forward-collision alerts, lane-departure warnings, cross-traffic alerts, and adaptive cruise control. The cutting-edge CUE interface continues to annoy us mildly. Cadillac has positioned the new 2014 CTS sedan as more of a direct competitor to the mid-size German luxury sedans, and it's equipping the four-door with features that outpoint most of that transatlantic crowd. 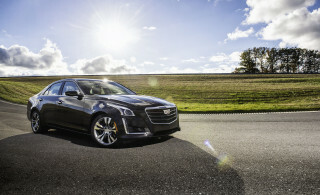 The new CTS will start from $46,025 including the $925 destination fee; the 420-horsepower, twin-turbo V-6 2014 Cadillac CTS Vsport will start from $59,995. By way of comparison, the CTS' $46,025 base price is $1,800 lower than the 2013 5-Series Sedan's; $5,875 lower than the 2013 E-Class Sedan's; and $3,825 more than the 2013 A6 Sedan's starting price. Cadillac sells the CTS in Premium, Performance, and Luxury editions. All have AM/FM/XM/CD audio; automatic climate control; power windows, mirrors, and locks; and Bluetooth with audio streaming. A touchscreen interface dubbed CUE governs the CTS' infotainment system. It responds to pinches, swipes, and zooms, as well as proximity. With all those dazzling features and its crisp, colorful screens, it should be a knockout. It isn't. Voice commands get spotty recognition, and the swipe and tap functions probably would be better served by hard buttons. CUE can also be run by steering-wheel switches that display functions in the gauges--or on some models, replace the gauges entirely. 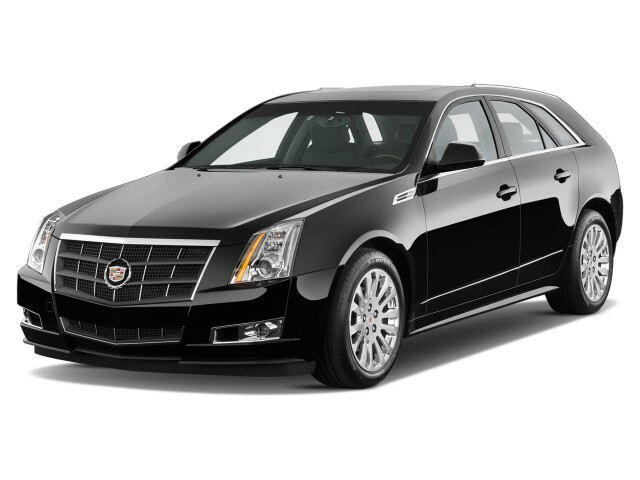 Key features on the CTS include parking assist, ambient lighting, heated and ventilated 20-way adjustable front seats, Bose Centerpoint audio, and remote start. The real sign you've arrived? The CTS has a power-operated cover for its cupholders. A 30-mpg highway rating for four-cylinders is solid, but the rest of the CTS lineup is much less miserly. The CTS sedan will get better gas mileage this year, thanks to a newly adopted eight-speed automatic and thanks to a new turbo-4. That base 4-cylinder also appears in the ATS. In the CTS with rear-wheel drive, it's rated by the EPA at 20/30 mpg or 23 combined. 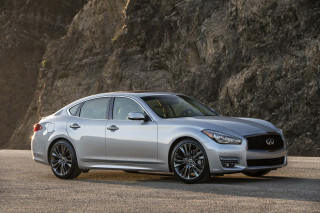 With all-wheel drive, the figures fall to 19/28 mpg, or 22 combined. The mid-range V-6 gets the EPA nod at 19/28 mpg in rear-drive form with an 8-speed automatic. With the 6-speed and all-wheel drive, it's pegged at 18/26 mpg, or 21 combined. VSport sedans are rated at 17/25 mpg. Cadillac isn't planning any hybrid CTS, but it does fit the car with active grille shutters to smooth the air that rushes over the front end. The car dealer said there is nothing wrong with the systems I am having problems with. Everything I need in a sports sedan. A rational sports vehicle with useful luxury features. Quality, style, technology and pure Cadillac comfort. Great ride (quite & powerful). Technology abounds. Style is exceptional. Truly a quality Cadillac. Love the way it looks and the way it drives. The steering and control I feel when driving the car is very enjoyable and was more enjoyable than for the equivalent BMWs (5 series) when I bought my car (2014). I... Love the way it looks and the way it drives. The steering and control I feel when driving the car is very enjoyable and was more enjoyable than for the equivalent BMWs (5 series) when I bought my car (2014). I do not love the interior but it is fine. The back seats could be better. No reliability issues so far. Operating costs are very favorable for the class. Decent gas mileage for the class.